6:17 a.m. On the 700 block of Rose Street, a woman reported her vehicle was egged for the second time. 7:43 a.m. At Colorado Street and Fourth Street, someone reported two people in their early 30s were going into other peoples’ yards, including a female party with long, brown hair and a purple hoodie and a Hispanic male with a tattoo on his face wearing a jersey. Officers found no crime. 9:39 a.m. On the 700 block of School Street, officers took a report for another vehicle that was egged. 11:09 a.m. On the 600 block of Wickes Avenue, a female reported a male party violated a restraining order. 1:28 p.m. At the Public Safety Center, officers took a report of harassment. 2:50 p.m. On the 1200 block of Victory Way, officers responded to a non-injury car crash in the parking lot between a silver Honda Civic and a tan Chevy Malibu. 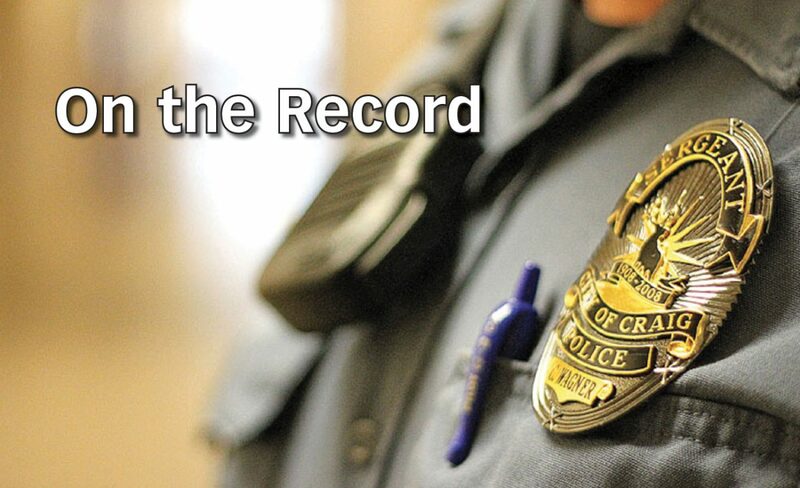 3:27 p.m. On the 700 block of School Street, officers responded to a report of theft of two bicycles, a “We the People,” four-seasons, black bicycle with chrome rims and purple spokes, and a grey and silver McNeal bicycle with camouflage rims. 3:29 p.m. At Murdoch’s, officers responded to a report of suspected theft. A male party, about 6 feet tall, wearing shorts, a shirt, and a Camelbak pack, and a female with short, dirty blond hair wearing Converse shoes, set off the security alarm when they walked out the door. They were asked to come back but left in their car. It’s unknown if they took anything. 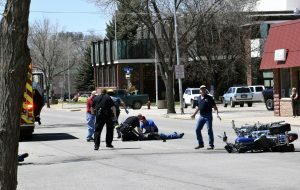 6:29 p.m. On East Sixth Street, a woman reported she was hit by her father and was running down the street screaming with her kids. She said she was headed home and wanted her father arrested, then officers lost contact with her. The father also called requesting a welfare check on his grandchildren out of concern for his daughter’s state of mind. 6:56 p.m. At Ridgeview Elementary School, a woman reported a disturbance with the father of her children. She said the man started fighting with her over where the children would go to school, so she took the kids and left. She stated he was verbally abusive. Officers determined it was a child custody issue. 7:47 p.m. At an area convenience store, someone reported they witnessed a possible drug exchange. She saw two parties exchange something by hand and then exchange money. 10:07 p.m. At Cedar Mountain Trailer Park on West First Street, officers responded to a report of an assault. A man said his ex-wife slapped his daughter. 11:34 p.m. At West Eighth Street and Taylor Street, a caller reported that three drunken kids were standing on the corner yelling and screaming. They were described as a tall, skinny male in a cowboy hat, black shirt and dark blue jeans, another with long hair and a black tank top and a shorter female. Officers contacted them and the parties said they were walking home. No crime was found. 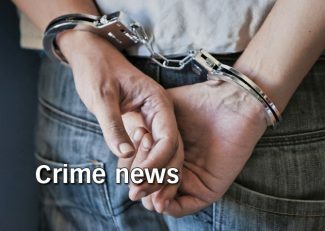 1:01 p.m. On the 300 block of Mack Lane, officers responded to a report of harassing phone calls from someone claiming to be with Moffat County Sheriff’s Office. The reporting party said he believed it was another male with whom he’s had issues. Officers contacted both parties and told them not to contact each other. 2:13 p.m. On the 800 block of Pershing Street, a caller reported his father came onto his property and stole his bicycle two days ago and his father refuses to give it back. Officers found it was a civil issue. 5:41 p.m. Officers responded to a report of possible child abuse. 10:23 p.m. On the 900 block of Washington Street, someone reported a suspicious car or small pickup pulled up to at a nearby house and someone was walking around with a flashlight. The caller said they appeared to be stealing firewood. Officers spoke to the owners of the residence, who said they did not have much firewood but they’d call if anything came up missing. 11:48 p.m. On the 600 block of East Fourth Street, officers responded to a report of a suspicious diesel truck sitting at the end of the road with its headlights on. The truck was running and had been there about 30 minutes. Officers were unable to locate the vehicle.